Coming out as gay is never easy. Coming out as gay in Cork is particularly knotty. 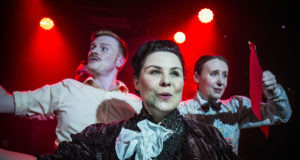 Ask mid-thirties Brenda (Karen Cogan), who has a fond love for her quintessentially Irish city despite the fact that it still hasn’t come to terms that she is queer. During her hour-long monologue, Brenda tells us in humorous tones about her failed relationship with Olivia, the ex she can’t get over and whom is relentlessly trying – unsuccessfully – to reunite with. In her mission of winning her back, Brenda shows up monumentally plastered at Olivia’s doorstep, making an embarrassment of herself. A bleeding and hungover mess, Brenda leaves with the tail between her legs after Olivia’s new English girlfriend opens the door. Brenda could be the protagonist of another romcom, if it wasn’t that in her story she gets spat at and called “dyke” by fellow Corkians. 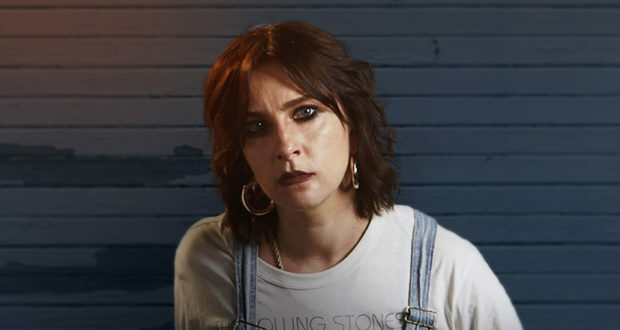 Her sister evicts her from her home when she finds out about her “gayness”, and she gets pestered by creepy John Morley, who asks too many questions and enquires “who gets things fixed when they break” in a two woman couple. With a highly humorous tone, witty lines and an agile monologue, writer and performer Karen Cogan tells us not just a break-up story but also one about the struggles of being both gay and a woman in a provincial city where everyone knows each other, and whose family is more worried about what others think than about the family itself. Behind the comedy in Brenda’s account of the nights she had to sleep on a bench in the park “with the winos” after her sister kicked her out, we see the painful truth of young LGBT people, who are more likely to find themselves homeless than their non-LGBT peers, and who comprise up to 24% of the youth homeless population. We also sense the looming shadow of depression in her friend Veronica, who despite being “so unapologetically gay… like a dykey Indiana Jones”, is most likely suffering poor mental health, although that front is not well developed and is left ambiguous. What is clear is that Cogan knows that the LGBT community is more likely to experience a range of mental health problems due to factors such as homophobia, discrimination or isolation, and tries to convey it in the show. Drip Feed is good craic, a full hour of entertaining and funny monologue performed by a charismatic and brilliant actor. 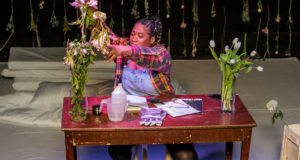 Although the important subjects exposed in the play are not fully developed, they are hinted at, and leave the audience with some food for thought to take home. Even if we live in a capital with Santander bikes displaying rainbow flags and flamboyant Pride parades, homophobia and discrimination is still a real threat, whether in small Cork or big London.